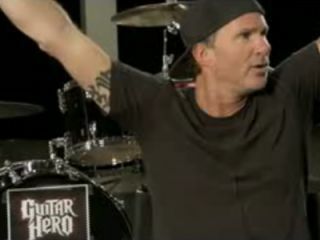 We all know that Chad Smith is one of the world's greatest drummers. Turns out, he's got a heart of gold too. Chad is just one of a stunning array of skinsmen who have donated drums and cymbals to an exclusive auction raising money for the charity, Teenage Cancer Trust, which helps teenagers and young people fight cancer. The online auction is taking place right now, but you can still get in on the action - the hammer comes down Monday 15 December. A Stewart Copeland signed Silver Tama drum which includes a Remo head signed by Sting, Stewart Copeland and Andy Summers. Mark Schulman, backing drummer for Pink, said,"I'm delighted to be supporting Teenage Cancer Trust's Drummer Night auction and hope it will raise as much cash as possible for the charity. I am a cancer survivor myself, as is my ex-wife, Kelly. I understand the challenges that patients go through, and I want to use my credibility as a drummer to raise awareness about such issues. I hope the auction can help raise enough money so that teenagers and young people going through cancer have access to specialised treatment centres, like those provided by Teenage Cancer Trust." There are lots of other items up for auction. To view to complete selection and place your bid, visit the official Drummer Live website.